Celeste - Yes, sort of.... There are Home-Tending Services in some cities where people need to live someplace for a certain period of time, they are background checked, etc. And, they pay a substantially reduced rental rate - or pay only "costs" to keep the property occupied and maintained while it's being sold. For their reduced rate, they agree to have the property in show condition at all times and move with 15 - 30 days notice. Typically, they have to have nice furnishings to help show the property well. They're really a combination of stager, and house-sitter and pay minimal $$. Google "Home Tenders"
Tom, Is that a House Sitter? Celeste - Tell the Seller to get a Home-Tender in place so the property is occupied until it sells. Great comments! I called the Escalation Department and told them I was changing the locks, and they made note of it. The property is being maintained and the utilities are on. The seller told them he lived in London and that the tenant just moved out... so that's how this happened. WF said it had nothing to do with the mortgage payment; just if they found the property vacant they had that right. Have a Wells Fargo Short sale VA owned, someone changes the locks and no one knows who and the appraiser waiting to do the appraisal. VA says Wells Wells say wasn't us must have been VA going on for over 2 weeks. No notice posted. Not in a zone where the city, county would have done it. Lockbox (my) gone. Took the one door lock off, put two on. Every situation is unique, but from what Celeste is saying, I don't see a big issue at all....Celeste is your client out of the country for an extended period? If so, who takes care of the property now? 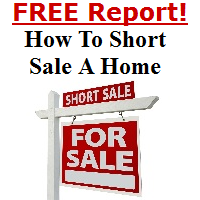 Without a tenant, it is vacant...(and a valid reason for a short sale). Why not let the lender take the responsibility for their investment....When your client spoke to WF I bet he told them it was vacant, or in bank terms abandoned. Point being in some situations p/p can be a useful tool to vacant properties. Kevin, Is this a listing you have? Did you try your key on all locks? I've found sometimes they only change / rekey ONE lock. Good luck ! Would be great, except there is no lockbox there. I was told there was, but there isn't and it doesn't appear like the locks have been changed. Kevin, don't wait any longer for a rekey. Call the Property Preservation Company and ask for the lockbox code, then remove the keys and put them into an electronic lockbox. You have a Listing Agreement with the OWNER which provides you access.